Ready to embrace the multi-cloud future? This new TDWI Checklist Report is the cloud primer you’ve been waiting for. The most successful companies are embracing cloud data integration to help them leverage more data. Businesses are increasingly having to learn what data integration is and does as well as increasing their data processing scale and performance at lower cost. 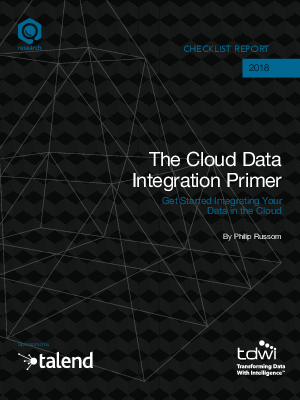 This whitepaper demonstrates how to reduce risk and disruption while implementing multi-cloud data integration and self-service data access.